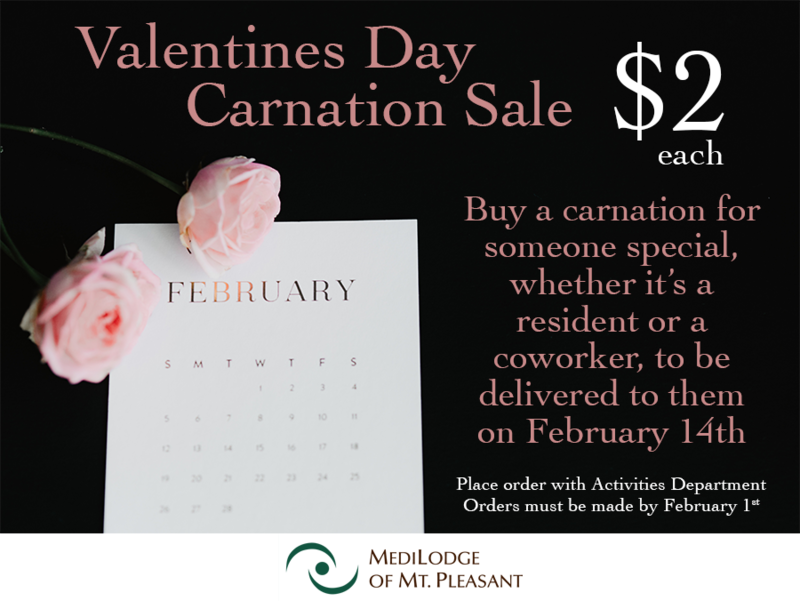 Valentines Day Carnation Sale at MediLodge of Mt. Pleasant. Let your loved ones know you care; Valentines Day Carnations are now on sale! For $2 each, you’re able to make Valentines Day a little brighter for someone special. 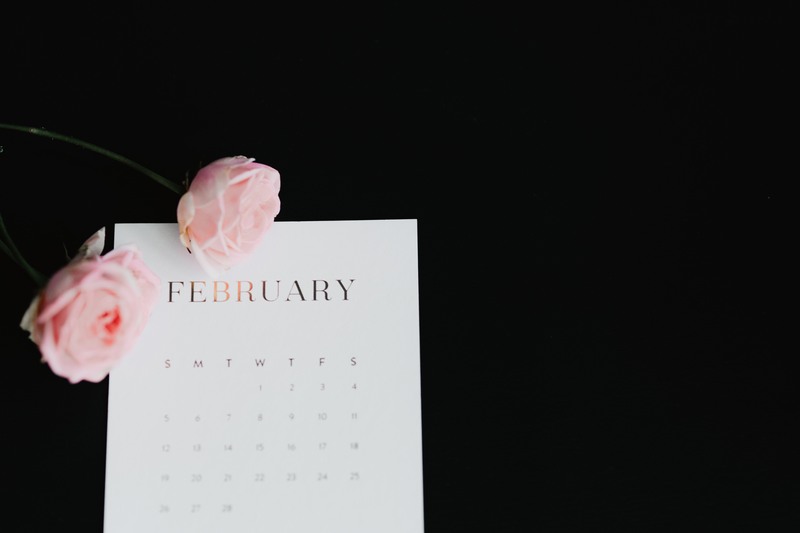 Place an order with the activities department by February 1 to make sure your carnation is counted!